Out of stock since Friday, 5 May 2017. Due back soon. Out of stock since Monday, 18 February 2019. Due back soon. Out of stock since Tuesday, 22 January 2019. Due back soon. Concentrated and effective, Grooms Choice Super Shampoo is formulated to promote excellent coat condition, restoring the ideal oil/grease balance in the coat. Pleasant smelling and deep cleansing, renew your horse's coat's sheen and lustre quickly, easily and simply. Super gold is for chestnuts, palominos and duns. Super Red is for bays and chestnuts. Super White is for greys and flea biting. Super Black is for blacks and dark browns. 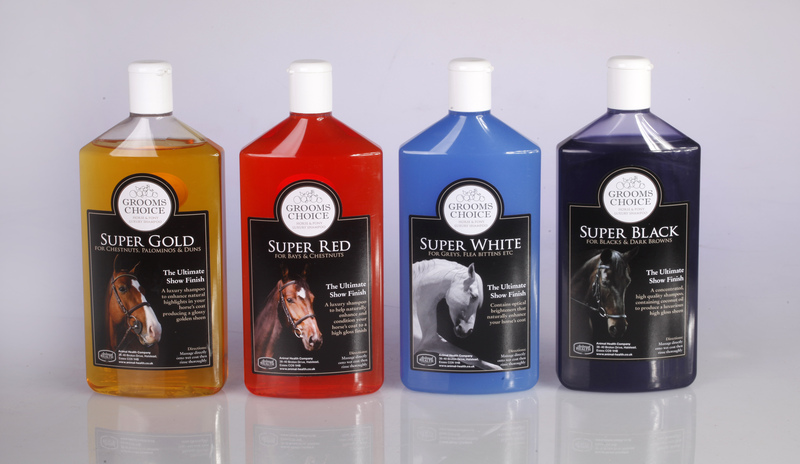 There are currently no questions for Grooms Choice Super Shampoo for Horses - be the first to ask one!